This was our last day at Ranchi and our spirits were down with that fact. But all is definitely not finished till it is finished and I took the initiative to arrange a picnic to the Hudco Lake Jamshedpur to lift up the spirits. The hotel staff members were very helpful in putting together a picnic hamper for us and we bought other things like badminton racquets and Frisbees for the trip. Situated in the middle of the Telco Colony, the lake can be reached quite conveniently through the cars. It is also not very far from the city proper. The weather was perfect for the picnic – not too sunny and neither were there any chances of any rain. 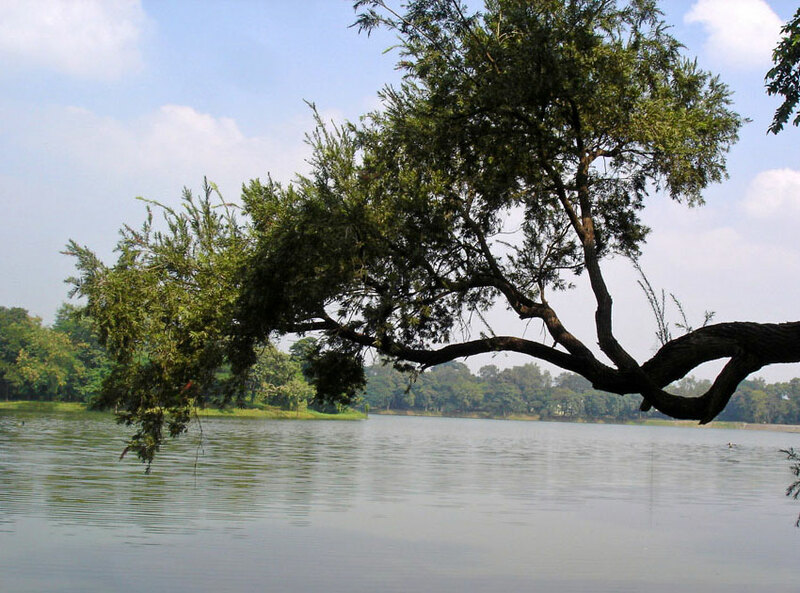 Along with the lake, we could access the Sumant Mulgaonkar Park too, which is situated very close to the lake. The beauty of the lake and the nearby areas really impressed all of us. We had the most wonderful time boating in the lake. Often such simple pleasures in life go unnoticed but I was going to hold on to every memory made during the trip because once in Delhi, again the daily routine would hinder us to spend such a lovely time with family. The kids were having a ball to play too. The environment near the park had such peaceful vibes that I had a lovely time sitting in the bench and looking at my kids and family have a great time. Sure, we had pictures being clicked, but the visual imagery that was in front of me was being recorded straight to my heart, one that would forever remain there. The day passed in a whiff, we ate from the picnic hamper, enjoyed the outdoor activities and clicked many more pictures near the artificial waterfall. I had to force them to wind up the day because the packing still needed to be done back at the hotel because our train was also on the same day. The Hudco Lake Jamshedpur was possibly the correct and final note to the trip and while we made our way back to the hotel I was thankful to God for yet another opportunity to have such a wonderful time with my family.